May the first, and not a rhyme in sight. 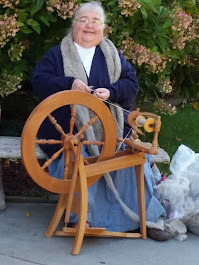 Being back in ordinary time seems very right. Oops. Habits sometimes die hard. To offer some sort of break, I offer chicks. Or maybe teen hens would be more accurate. Here are Lacey on the right, Rita in the middle, and the unnamed black one on the left, all posing on the main roost. Lucy in foreground, she is more red than Rita, shown in the first picture, who is darker. 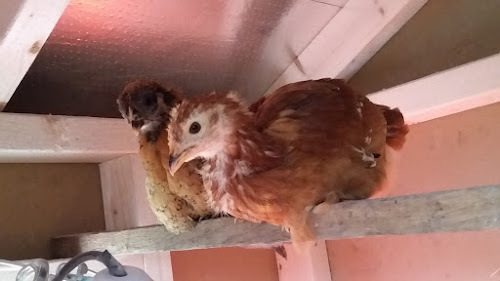 These two (the second is either Goldie or another unnamed chick) are on the new higher roost that Hubs and I installed this past week. 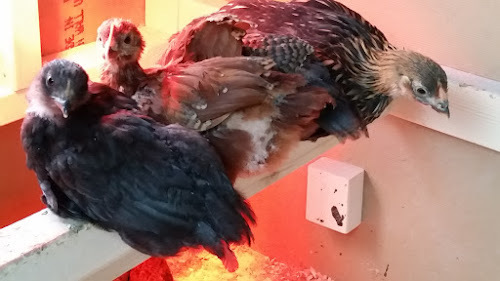 Rocky was hiding to the left in the top picture, so this is the rest of the girls in the corner under the heat lamp, giving them a reddish tinge. They are huddled too close to make positive id's but I am sure that is little black Dizzy's rump pointing toward us on the left front. Aren't The Girls getting big? 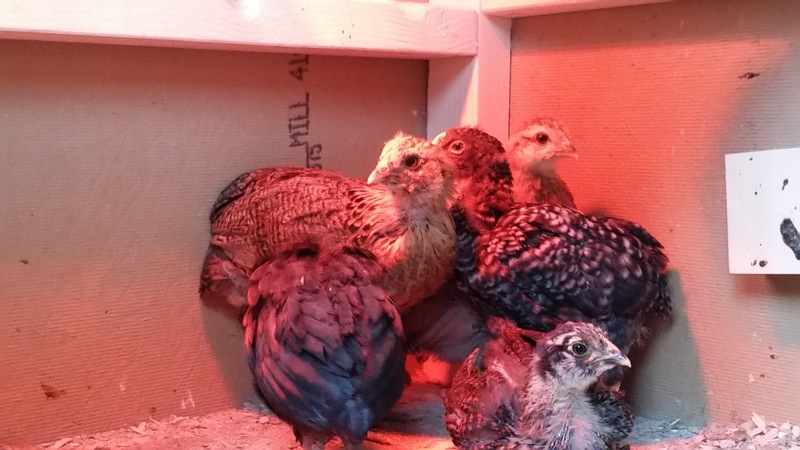 The six I bought are the biggest and of the five little ones I cannot tell if there are any roosters yet. No developing combs or crowing yet. If the nights start staying warmer, I hope to be able to do away with the lamp soon.